My New Heartbeat: The New Bump! 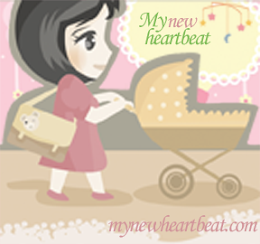 I haven't been so excited to share some news on my blog since the initial day I informed the Internet I was pregnant. Or maybe that CeCe was standing up. Or that she was walking. Or the first time she uttered a consonant sound. The Baby Bump has been an annual print maternity guide through Lexington Family Magazine, but I have happily taken on the task of churning out pregnancy and new parent articles year-round. Check out BabyBumpLexington to see our first posts! I want the site to be a place where you can find health tips, shopping guides, recipes, fun projects and serious news all about your bump and the baby within. I invite and encourage all parents to contribute your ideas, questions and suggestions to The Baby Bump. Let me know what pregnancy- and newborn-related thoughts are swirling around your head, because that is what we want to write about! Feel free to email me at kathrynrsaltz@gmail.com, or you can find me on Facebook as Katie Saltz. And don't forget to check back each week for new content at www.lexingtonfamily.com/baby-bump.